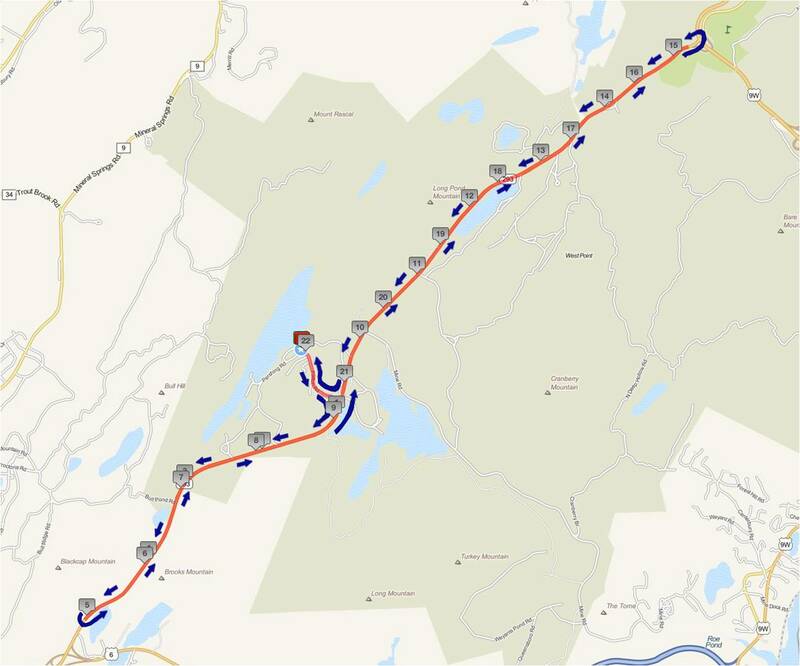 West Point Triathlon hosts a Northeast Collegiate Triathlon Conference Duathlon on Saturday, 7 April 2018 at Camp Buckner to provide a spring USA Triathlon nationals qualification event for members for the conference and foster relationships with other members of NECTC. The race will begin at 0900 (9:00 am) and all athletes will start in one wave. The race will begin at 0900 (9:00 am) and all athletes will start in one wave. Please arrive early to check in and set up transition. Duathlon Format (run-bike-run). 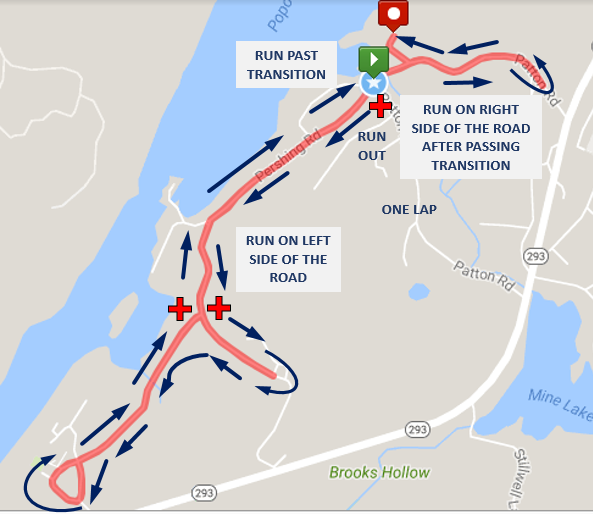 Transition and course will generally follow the Annual West Point Triathlon course. Course will be a 2 km run, 22 km bike, and 5 km run. Run courses will be restricted to the inside of Camp Buckner and Camp Natural Bridge. Bike course will be on HWY 293 with a turn-around located near the overpass located at the junction of HWY 6 and another turn-around near the overpass at the junction of HWY 9. 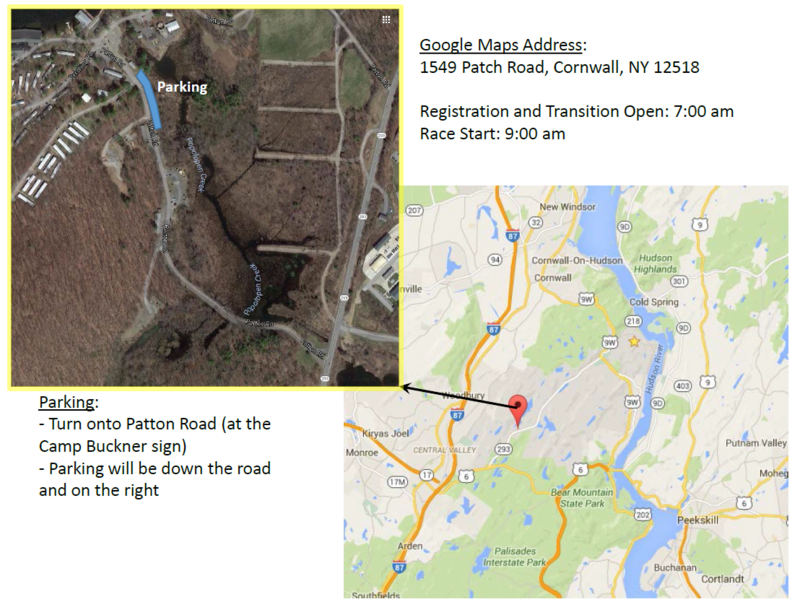 The duathlon start time will be at 0900 (9:00 am). All athletes (30-50) will start in one wave. The race will be held at Camp Buckner which is not on the West Point Installation. 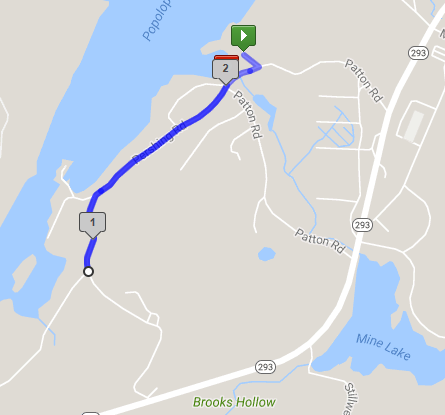 Using Google maps, search for "1549 Patch Road, Cornwall, NY". It is vicinity Lake Popolopen and Route 293. A weather decision for this race will be made 24-48 hours prior to the race and pushed to you via email. In the event of inclement weather NECTC has approved moving the event to an indoor TT. It will be held at West Point's Cullum Hall at the West Point Triathlon Team's indoor Compu-trainer lab. If this happens we will send an email with instructions on travel and parking.